GitHub is the perfect place to share code and work collaboratively on private and open source software while MangoApps team Collaboration software or Social Intranet makes it ideal for managing a team or anything you do in your business processes and bring employees together. They’re both awesome at what they do, but this means you have sets of people using different tools who potentially are missing out on the valuable information thus limiting collaboration. Software development is a collaborative effort, and numerous people are involved in it during its life cycle. Product manager, developers, quality analysts as well as business stakeholders all need to be involved during the development life cycle. One of the best practices in the life cycle is to keep everything from logs, files, relevant conversations, tasks, milestones, in one place. We are pleased to introduce the integration between both these applications, adapted for developers, quality analysts, and managers focused on improving both the planning and development process. 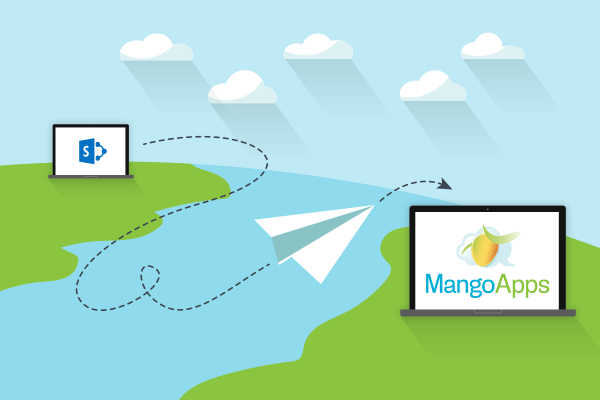 This integration will post commits, pull requests, and comments from GitHub or post comments directly from MangoApps to Github team in a team of your choice in MangoApps. Keep your entire team informed with integration in your favorite development tools like New Relic, Airbrake, Pingdom and much more seamlessly pulling data and activity from external tools to concentrate up-to-date information about your projects in one place. Every member of your software team can now enjoy real-time context around every story.